my class section was mali intentionally, nakakaintimidate naman kasi kau e halos lahat from science high..hoping nga ada sumaruno kendakami with ms. Sakura nga mangi-introduce met bagi na nga not from science class..
sa mga newly registered introduce yourself para lahat tayo magkakilala... malay nyo matagal na pala kayong hinahanap ng mga batchmates nyo kasi matagal ng alang mga communications... me mga activities pala kayo... oh db? am from the regular guys.. doing the irregular things..
irregular drinking.. LOL.. that was me..
Yo! it's cool to see you all guys here showing your concerns and plans for our dear alma mater.... I'm from the older batches - Batch "80... Wala pang science section before so no problem to the regular sections... hehe.. basta alumni tau amin ti MNHS...Okay! Mng. Jelyn, when u post the results of the meeting, cn u also include some comments fr the faculty members and students regardng on what they think/feel about the situation they're facing right now? Most esp. the students coz obviously, they are the ones who r badly affcted by the incident..uray ksta nga dlikado ta area kt kapilitan latta nga ageskuwela da w/c is so hard to believe tlaga.. If u cud also post more pictures taken recently, then that would b better again. We need more visual aids for the development of the site so pls help us. In addition to this, some references of d sch. logo coz another site is being built by our dearest Admin here. (read his post titled, "MNHS site building") b waiting for ur new postings. Tnx much manang ko! wow nice to see other people's posts. we are now growing:-) and nice to hear there are meetings for the alumni. 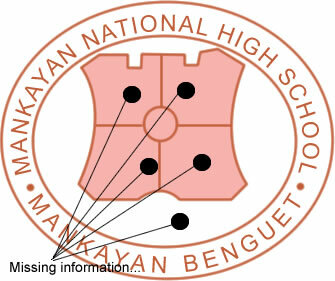 ..yeah right, we were on the BLACK LIST of our guidance counsilor, ma'am Mangiwet.. LOL! Ayagam amin ay taga Taiwan. Ta men parikna da od eman. tnx to u too Claire! hehe, natutuwa aq sa post na ito, kaya pa-post nga rin, hehe. oo nga mas marami na kayu, este tayu, hehe, aryt, have a nice day. ..nakakatuwa nga eh.. arigato sau... hoping this thing will continue and spread as a wild fire connecting all proud alumni of our beloved alma mater..
hmm still remember the bukang liwayway with mr japson..
oh well high school life..
hmm.. malay mo un pla ang tinatawag n eternal flame..? haha! Still, i hope more graduates will advance this good CAUSE so that every student(current) of MNHS will continue to receive an education and be able to empowered to shape their own destiny..
do i sound convincing this time..
Subject: Re: Getting to know each other.